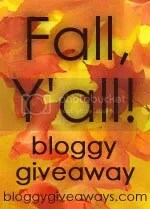 It is fall so what goes with fall but a good giveaway! So over at Rocks in My Dryer Shannon is hosting a wonderful carnival of bloggy giveaways on each blog you will find a give away. Some of these are NOT open to us Cannucks but there are bunches that are! So if you like contests and sore fingers make sure you follow the link. Here at my blog we know that I am cheaper then cheap, so with that said I feel karma is a good thing and so I am hosting my own contest here. What am I giving away????????? If you have not heard of this great lil book let me tell you it is my fall read. I am giving you my copy of this book. I have read it once gently. This contest is open to anyone in the USA and Canada. Sorry international folk I am a single mom on a super tight budget. 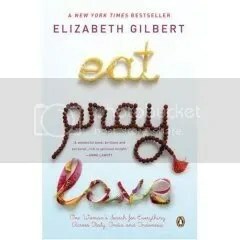 “Eat,Pray,Love” is a great read for all, especially any woman who has gone through major changes or trauma like me. I came away feeling encouraged and inspired. So if you want in on this contest here is the how…Leave a comment( make sure I have your email adress, this is how I will contact the winner). As well I dislike Enter me comments so tell me what does Eat Pray Love mean to you in a sentence or two. This contest ends at NOON EST on Friday Nov2,2007. The winner will be notified later that day. So comment away! While you are here, this is a new blog for me so tell me what you think, and thanks for stopping by and more you not get sore fingers from all the entering you do. PS. This contest is open to bloggers and non bloggers alike, please make sure I have an email addy for contact…now go enter, comments please! I just got this email from my friend and I am asking you for your help in helping her help her close friend…this was a major news story here and I think we can help her honor her uncle. Please help me help her honor him..he was killed protecting the neighbourhood I used to live in. I am excited to announce that I recently submitted a short essay to a contest sponsored by Lenovo (a Chinese computer company that recently purchased the IBM line of PC’s). They have chosen my essay as one of the 20 finalists from 11 countries to compete in Phase II of the contest. The Grand Prize winners will get the opportunity to carry the Olympic torch over one of the legs of the 2008 Olympic Torch Relay across China. To win Phase II I have submitted a 30-second video to the www.lenovo.com/torch website to be judged by the general public. The three winners that will be chosen will be the ones with the highest number of votes. Please take a minute to go to the website and cast your vote. If chosen to win I would like to dedicate my relay run to my uncle Robert Plunkett. Constable Robert Plunkett, an Ontario Officer with York Region Police Services, was a leader in both the community and to the Special Olympics organization. Constable Plunkett was involved with the Law Enforcement Torch Run for over 15 years and the 1997 World Winter Games. Through his long standing support of the organization he also served as the Chairman for the 2000 Special Olympics Ontario Provincial Games. Through his leadership over $1 million was raised for the Special Olympic Games. In addition, as a result of his devotion and support the Law Enforcement Torch Run has grown significantly in Ontario raising funds and awareness for athletes with an intellectual disability. My uncle Rob was killed in the line of duty on August 2, 2007, while making an arrest in conjunction with an automobile air-bag theft. Rob is an inspiration to myself, my family and the community. I would like to honour his legacy with this once in a lifetime chance to carry the Olympic torch. If you are compelled, please don’t hesitate to forward this e-mail to anyone you know. I will need all of the support I can get (literally around the world!) to win.